Ericka Jean Dockery, a mother of three, insisted the innocence of her boyfriend, who was suspected in a 2003 burglary where Houston Police Officer Charles R. Clark was killed. She told them he had been sleeping on her couch at the time of the crime. The grand jury reportedly intimidated her with discussion of perjury charges and warned that Child Protective Services would take her children away. When she finally did change her story, she was jailed for perjury. The jury foreman in the cop killing case was himself a police officer. 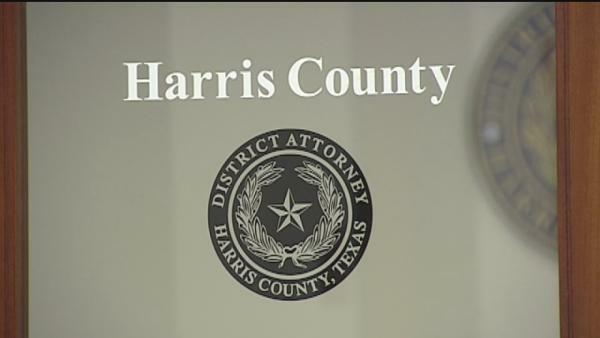 HOUSTON (KTRK) — Controversy is brewing over a police shooting simulation offered to Harris County grand jurors. A local group claims the simulation is one sided and could bias jurors. The Greater Houston Coalition for Justice says allowing grand jury members to go through a police shooting simulator could influence their decisions. They’re protesting the use of such a policy. The DA’s office disagrees, saying they don’t believe showing a shooting simulator to grand jurors provides any bias. The coalition says they want to set up an appointment with DA Devon Anderson’s office to talk about it. Meantime, they’ve started a petition to stop the user of simulators. HOUSTON — The scene was dramatic: An armed man confronts a police officer during a carjacking. The robber suddenly points his pistol at the officer, who shoots the suspect. “The big void on indictments of police officers is certainly alarming, and I just hope each grand jury had decided those cases based on the facts independently of what the district attorney wants them to do,” said state District Judge Mike McSpadden. “I don’t think a grand jury is likely to indict someone if they put themselves in that officer’s shoes and they say, ’You know what, I probably would have done the same thing,’?” Hunt said. That’s not the view of Tom Kennedy, a retired journalist who edits the Houston Police Officers’ Union publication and served as foreman of a grand jury. Kennedy, who is a grand jury commissioner for McSpadden, said he abstained on the only police shooting case brought before the grand jury.